baseclick GmbH is ISO9001:2015-certified company with its head office located in Neuried, Germany, close to Munich and was founded in 2008 with the shareholders of BASF SE, Ludwigshafen the LMU Munich. The core of the baseclick technology is the “click reaction,” a copper catalyzed cycloaddition allowing virtually unlimited functionalization of both small synthetic oligonucleotides and large gene fragments with unprecedented efficiency. 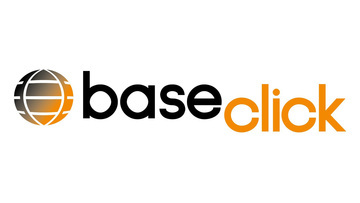 Beside its own patents, baseclick holds an exclusive worldwide license for the use of click chemistry technology in the field of nucleic acids and offers this technology in research, diagnostics and, increasingly, the pharmaceutical development by modification of RNA molecules. Dr. Thomas Frischmuth (male), CEO of baseclick, PhD in Biology, 15 years of experience as an associate professor in molecular biology and biotechnology, has supervised 28 students and was responsible for 10 granted projects (DFG, EU and private), director for several life science venture funds and manager of SMEs. Dr. Birgit Graf (female), CBO and COO of baseclick, PhD in Physical Chemistry obtained at the Institute Curie in Paris. Strained 2 undergraduate students & 2 laboratory assistants. Interdisciplinary expertise in the field of physical chemistry, nanotechnology, DNA chemistry, labelling and diagnostics, author/co-author of 8 publications and 1 patent application.